A handyman service is exactly the service which the name depicts. They are the guys who come handy for doing those unusual chores of the house which you have never done before or are unwilling to get your hands dirty. Proper plumbing, addition of sinks and taps, carving out wooden designs and things, that is carpentry, hanging paintings on walls etc. The question arises: Why would you need a reliable handyman service? Well, there's a lot of reasons to that. 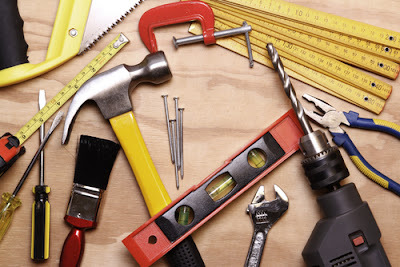 Now, to choose the perfect handyman service company in Singapore the first thing you need to do is to consider all the companies available here in Singapore, since there are a good number of them to choose from. Make an overall comparison of all and choose the one which suits your needs but is definitely reliable. Okay. So how do you choose the right Handyman service without losing your sleep over it? Well, there are many factors you might have to consider. 1. 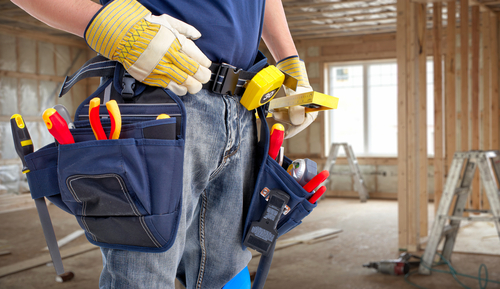 The foremost factor to consider for choosing a handyman service is to know the years of experience of the company. It is better to go for those companies that have at least 5 years of experience. That would mean that they have been serving the clients effectively, and have been reliable in this industry. You can contact the company to extract information about its experience. 2. The company must be licensed. To know about its license, you can contact local home builder associations, or you can contact the company executives yourself. Even though it might seem a little over cautious, but it is always better to check the license of people working for you. 3. You can choose the company according to your convenient payment option. Though most companies these days offer a list of payment methods to choose from, some might stick to particular ones. Choose the one according to your needs, like cash, debit or credit cards etc. 4. The best way to know about a company is through the reviews of the customers. You could go through magazines and newspaper for more customer reviews or hit the Internet which always has an abundance of reviews of just about anything. 5. It is better if you ask the company for a free quote, which includes some basic details like, fee, labor cost, etc. You can easily compare the quotes of two or more companies and choose the better one, the less expensive one. 6. You can also go for some insurance plans so as to keep your assets safe and protected. This might be considered overdoing by some, but if you want a little security you should definitely opt for this as well. 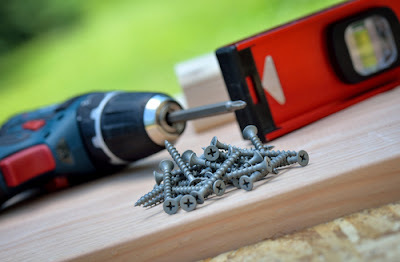 Hammer, cordless drill and other drill bits, a dependable level, knives, scissors, paint brushes, wire cutters, gallon bucket, screwdrivers of different heads, duct tape, wood and other types of glue, bandsaw, sandpaper, protective air mask, protective eye glasses, gloves to protect their hands, table saw, miter saw, jigsaw, nail gun, reciprocating saw, coping saw or a handsaw if other saws do not work, pencil, chalk, right angle instruments, tool belts, chisels, nails, air compressor or other tools associated with air compressor, brad and trim nailer, clamps and ladder. For painting, there are some tools required by a handyman. That includes paint brushes of different types, paint rollers, paint removers, thiners, masking and cleaning tools, ladders, pouring spouts, poles etc. For a handyman who is fixing some problem in the plumbing system or the sink, propane torches and tanks, plumbing solder, pipe cleaner, flux and brush which is used before soldering, pipe cutter, plumber's tape, plumber's putty, hacksaw for cutting PVC and some abrasive clothing material to remove burrs from edges of pipes. You don't need to always choose the most expensive company to get your work done probably. All you need to do is to choose experienced people. One such company that comes to mind is Handyman Singapore, which has been serving for quite some time now. It is a reliable company with lots of reviews all over the Internet. Their proficiency includes painting, plumbing, electrician and carpentry. The company maintains its reputation as being one of the best handyman service who has all tools, equipments, machines, supplies etc. If you want to opt for the services this company offers, you can contact them for knowing about all of their available rates. Painting: Handyman Singapore offers painting services in Singapore. Handyman Singapore also has a team of some professional interior designers who help you with the designing of your home, the right paint colors, and styles. You can contact those professional interior designers before opting for their painting services. A handyman company offering painting service must recommend the proper and durable painting products to the clients which it sure does. Plumbing: If you are going through problems like blocked drains or leaked plumbing systems or if you need to install new sinks and taps, you need to contact a handyman service offering plumbing services. These problems must be fixed as soon as possible. Carpentry, painting, electrician and handyman are other services available. People find it reliable to invest where their needs are fulfilled instantly instead of waiting for long. For example, the Handyman Singapore is a team of some skilled technicians and electricians from Singapore who complete their projects within stipulated time, and process their work quickly, so that you do not have to wait unnecessarily long to see the overall improved look of your house. They are known for their quick services. The service offered by the company must suit your affordability range. You can contact the company for the quotation so as the know the exact cost details of the various jobs they offer. If you look at the service and the prices of the company, you will find it reasonable. If you are looking for a home improvement service at a low budget, Handyman Singapore looks like a good choice. Experience is an upmost necessity here. You don't want your plumbing to leak and destroy half your house or create weird sounds from the horror movies at nights. The company must have an experience of a respectable time and must be properly licensed to provide services to the clients all over Singapore, which the above stated company is and makes sure all its workers are properly licensed and updated. If there are workers inside your house where you are supposedly living, you ought to feel that they are friendly instead of making you uncomfortable. Only workers who are trained to maintain that comfortimg behavior to their employers are proper to work again your home. The customer service must be friendly. They must maintain good relations with their customers, and answer the questions posed by people looking for handyman services over phone calls, emails etc. A good customer service is the key to more experience and popularity. If you look around at the homes of Singapore, you'll find that they are designed with so many features like hardwood floors. To keep these features and functions maintained and to get rid of the stress that the home should look like a home at the same time with all the facilities you hope for, you need a handyman service. That will ease you with the paint job and maintainence of the extensive features. It is difficult to perform the carpentry or painting on your own because you might lack the necessary tools, whereas the handyman service has the complete set of tools required for all the painting, carpentry and maintenance work. The home maintenance procedure requires the use of all those little, critical equipments that a handyman agent brings stocked in a van. So the next time you face a problem with your plumbing system or with the lights or if you want to get your house painted or just simply want an improvement in its look through carpentry, go on and contact a handyman service company, which suits to your needs the best. Good luck.